With the transfer of the National Theatre’s production of Nine Night, Natasha Gordon becomes the first black British female playwright to have a play staged in the West End. These firsts, in terms of black British theatre, are a shockingly recent phenomenon and worth selectively reiterating here: Kwame Kwei-Armah became the first British Afro-Caribbean playwright to have a play staged in the West End when Elmina’s Kitchen transferred from the National Theatre in 2005. In 2009, Wole Soyinka’s Death and the King’s Horseman became the first black-written British play on the Olivier stage at the National. 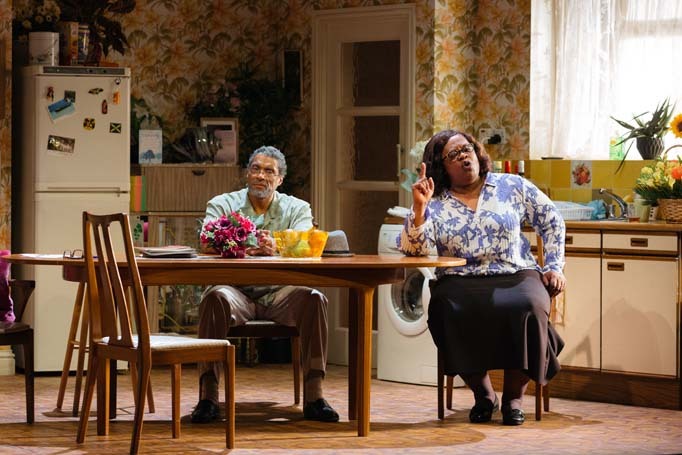 Paulette Randall became the first black British woman to direct a West End show in 2013 when her production of August Wilson’s Fences starring Lenny Henry. In 2005, Debbie Tucker Green’s Trade was the first play by a British Afro-Caribbean woman to be staged at the Royal Shakespeare Company. All of this is very recent history, which makes Gordon’s achievement all the more spectacular. These “firsts” pose questions about what is valued in today’s multicultural Britain and what is not. The fact that both Gordon and Kwei-Armah’s plays originated at the National Theatre shows us how crucial subsidised theatre is in the long, slow road to diversification in the British theatrical ecosystem. They are not the only diverse playwrights – of any ethnicity – whose work the NT has produced, nor is the NT the only subsidised theatre that produces diverse work in or near the mainstream (even if the proportions are often low when compared with the white, male canon). Yet, why have only two black playwrights of Afro-Caribbean heritage had plays transferred to the West End? That is a huge question for the industry to ask itself. The distinction of Gordon being the first ‘British’ black female playwright to have a West End production is also crucial. In 2009, the African-American playwright Katori Hall’s The Mountaintop premiered at Theatre 503 before making its West End debut the same year and winning best new play at the Olivier Awards. I use this as a benchmark in part because the history of African-American theatre in Britain is one that has sometimes overshadowed home-grown black British talent. This is not to say that African-American playwrights have had more West End success than their British counterparts, but the relatively frequent revivals of plays by August Wilson also pose questions for the industry today. Is there an over-reliance on high profile African-American playwrights? Is the African-American experience more comfortable for British audiences to watch because of its relative distance from the British experience? Most importantly, why – when we have remarkable home grown black British talent here in Bola Agbaje, Chinonyerem Odimba, Winsome Pinnock to name just a handful – was an African-American woman the first black female playwright to have a play produced in the West End? The final question posed by Natasha Gordon’s achievement with Nine Night owes a debt to one raised in Arinze Kene’s play Misty this year: When can we stop thinking of certain plays as “black”? What is a “black play” anyway? What does that even mean when Gordon’s brilliant Nine Night is, above all, a human story.